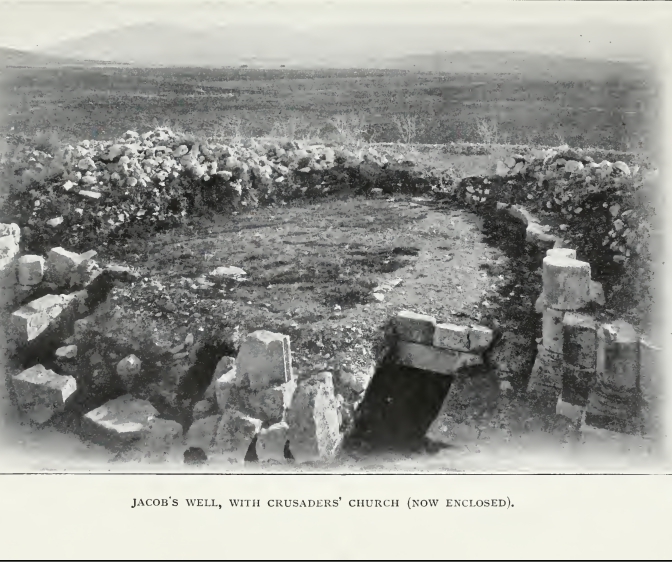 Jacob's Well, also commonly known as Jacob's Fountain and Well of Sychar (Arabic: بئر يعقوب, (Bir Ya'qub or Bir Ya'kub); Greek: Φρέαρ του Ιακώβ) is a deep well hewn of solid rock that has been associated in religious tradition with Jacob for roughly two millennia. It is situated a short distance from the archaeological site of Tell Balata, which is thought to be the site of biblical Shechem. 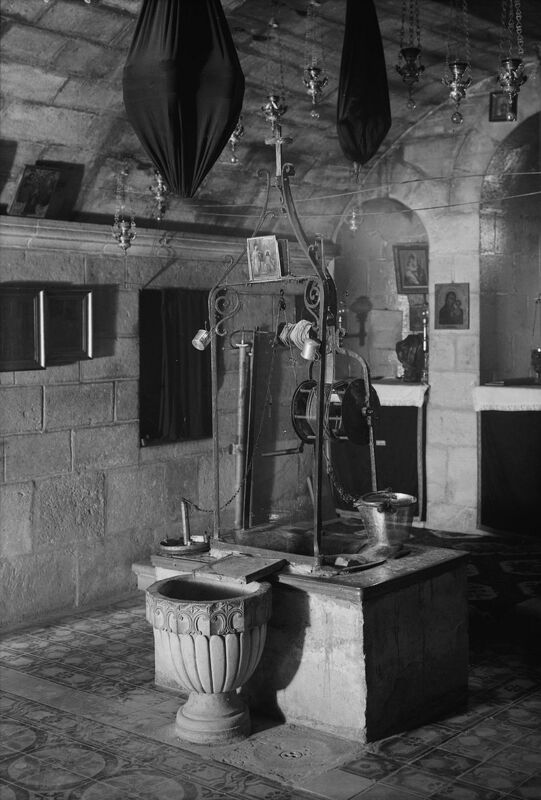 The well currently lies within the complex of the Greek Orthodox monastery of the same name, in the city of Nablus in the West Bank. Jewish, Samaritan, Christian, and Muslim traditions all associate the well with Jacob. The well is not specifically mentioned in the Old Testament. The Book of Genesis (33:18f) states that when Jacob returned to Shechem from Paddan-aram, he camped "before" the city and bought the land on which he pitched his tent. Biblical scholars contend that plot of land is the same one upon which Jacob's Well was constructed. Jacob's Well does appear by name in the New Testament's Gospel of John (4:5f), where it is recorded that Jesus "came to a city of Samaria, called Sychar, near the field which Jacob gave to his son Joseph. Jacob's well was there." The Gospel of John goes on to describe a conversation between Jesus and a Samaritan woman that took place while Jesus was resting at the well. The writings of pilgrims indicate that Jacob's Well has been situated within different churches built at the same site over time. 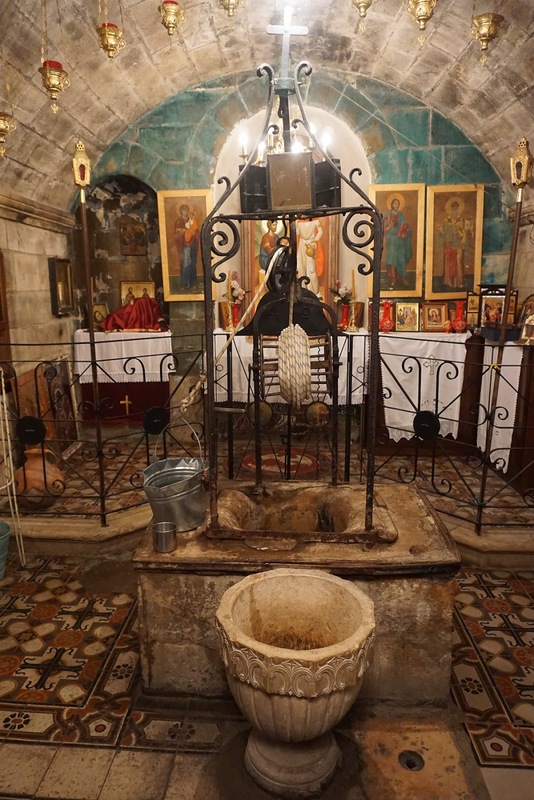 By the 330s CE, the site had been identified as the place where Jesus held his conversation with the Samaritan woman, and was probably being used for Christian baptisms. 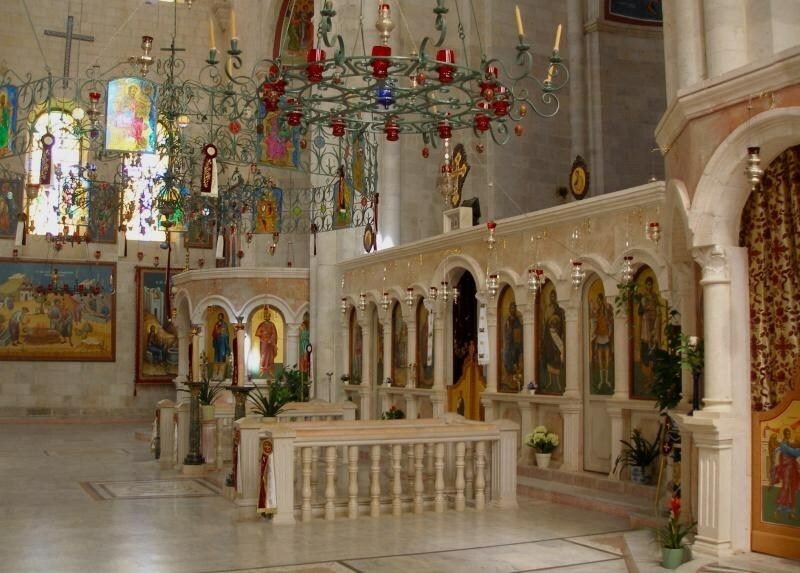 By AD 384, a cruciform church was built over the site, and is mentioned in the 4th century writings of Saint Jerome. This church was most likely destroyed during the Samaritan revolts of 484 or 529. Subsequently rebuilt by Justinian, this second Byzantine era church was still standing in the 720s, and possibly into the early 9th century. The Byzantine church was definitely in ruins by the time the Crusaders occupied Nablus in August 1099. Early 12th century accounts by pilgrims to the site speak of the well without mentioning a church. There are later 12th century accounts of a newly built church at Jacob's Well. 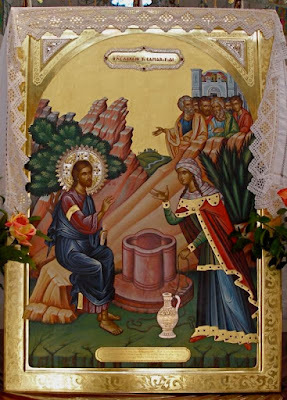 The first such definitive account comes from Theoderic, who writes: "The well ... is a half a mile distant from the city [Nablus]: it lies in front of the altar in the church built over it, in which nuns devote themselves to the service of God. This well is called the Fountain of Jacob." 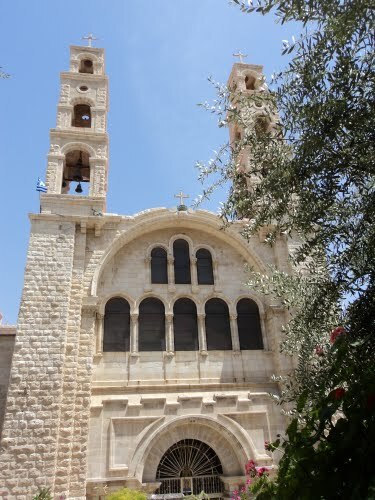 This Crusader era church was constructed in 1175, likely due to the support of Queen Melisande, who was exiled to Nablus in 1152 where she lived until her death in 1161. This church appears to have been destroyed following Saladin's victory over the Crusaders in the Battle of Hattin in 1187. In March 1697, when Henry Maundrell visited Jacob's Well, the depth of the water in the well measured 15 feet (4.6 m). Edward Robinson visited the site in the mid-19th century, describing the "remains of the ancient church," lying just above the well to the southwest as a "shapeless mass of ruins, among which are seen fragments of gray, granite columns, still retaining their ancient polish." Local Christians continued to venerate the site even when it was without a church. In 1860, the site was obtained by the Greek Orthodox Patriarchate and a new church was constructed shortly thereafter. An earthquake in 1927 in Palestine destroyed that building. Since the Israeli occupation of the West Bank, Jacob's Well has been a site of contention between Christians and Jews. 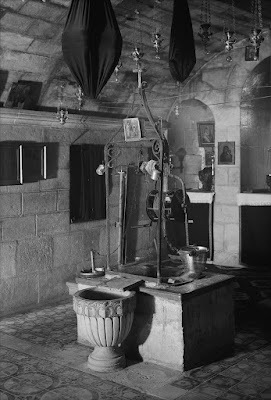 In November 1979, a week after a Zionist group came to the monastery claiming it as a Jewish holy place and demanding that all religious iconography be removed, the custodian of the well, Archimandrite Philoumenos, was found hatcheted to death inside the crypt housing the well. 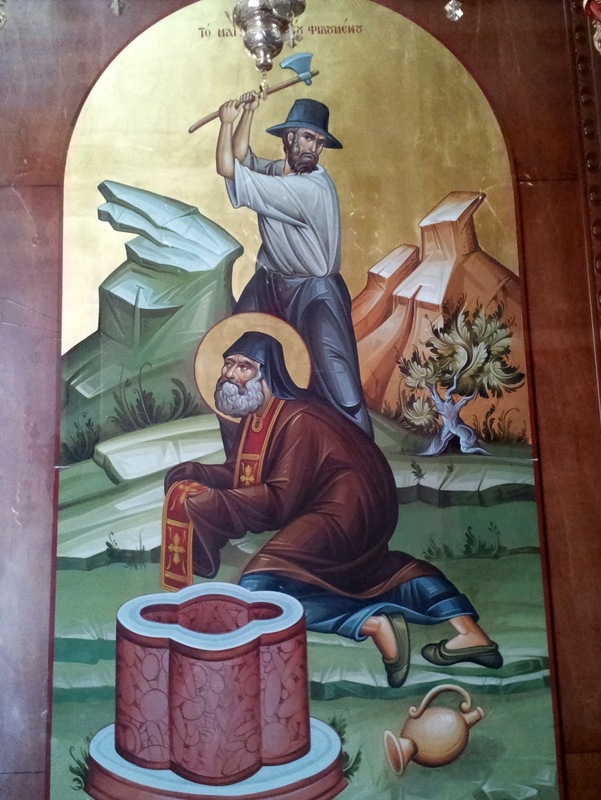 In 2009 the Greek Orthodox Patriarchate of Jerusalem declared him a saint thirty years after his martyrdom. 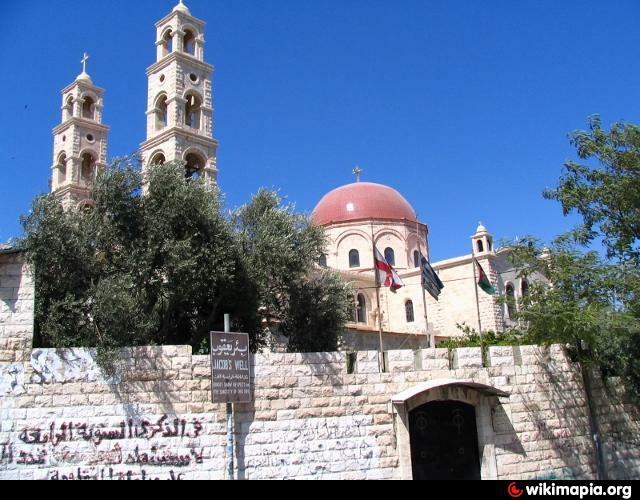 Abuna (meaning "Father") Ioustinos, a well-respected Greek Orthodox priest in Nablus, later spearheaded a huge reconstruction project. Jacob's Well has since been restored and a new church, named after Saint Photini (the woman who conversed with Jesus at the well), modeled along the designs of the Crusader era church, houses the well inside it, in a crypt on a lower level. Jacob's Well is located 76 meters (249 ft) from Tell Balata in the eastern part of the city of Nablus within the grounds of the Jacob's Well Monastery. 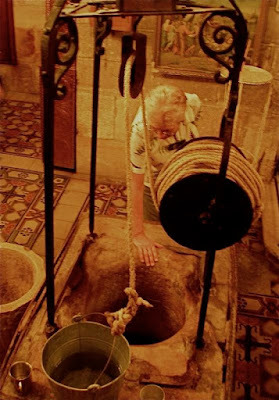 The well is accessed by entering the church on the monastery grounds, and descending the stairs to a crypt where the well still stands, along with "a small winch, a bucket, ex-voto icons and lots of lit candles." 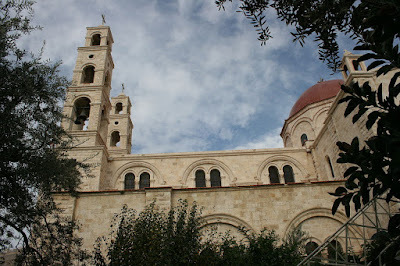 Joseph's Tomb, a related site, is located just north of Jacob's Well in an Ottoman era building marked by a white dome. 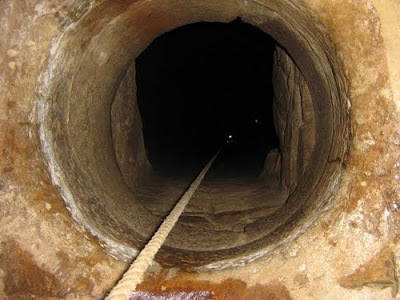 "a narrow opening, just wide enough to allow the body of a man to pass through with arms uplifted, and this narrow neck, which is about 4 ft. long, opens into the well itself, which is cylindrically shaped, and opens about 7 ft. 6 in. in diameter. The well and upper part of the well are built of masonry, and the well appears to have been sunk through a mixture of alluvial soil and limestone fragments, till a compact bed of mountain limestone was reached, having horizontal strata which could be easily worked; and the interior of the well presents the appearance of having been lined throughout with rough masonry." Based on a measurement made in 1935, the total depth of the well is 41 meters (135 ft).